It’s hard to believe that the New Year is here. I am thankful for a fulfilling 2018 and a joyous holiday season. In the year ahead – our 18th anniversary year – we will reinforce the positive changes in 2018 that resulted in favorable growth and prosperity among the four divisions of the parent company, Prime Group. Going forward, I am also committed to reinforcing those activities that have helped me personally to be my best, so I may continue to enjoy the most meaningful things in life – family, satisfying work, and my health and well-being. It’s good to have goals, or resolutions as we call them this time of year. One of mine for 2019 is to seek more of a balance between my work life and personal life, something we should all consider in order to be at the top of our game. Getting fit is another one of those basic resolutions, and it’s certainly no cakewalk! I should know, because it was my top resolution last year. And today I’m happy to report not only did I stick with the plan, but I lost 30 pounds in the process. I have greater energy, dexterity, and more confidence in movement – it even helped with my posture. So this year, I am going to be resolute in eating smart and healthy, which again is pretty basic, but important at the same time. This idea of paying strict attention to the basics – be it personally or in business – can yield tangible benefits. If you put in the investment, it pays off. Again, whether it’s your physical plant or a business, people notice when your operation looks good, when you’re well postured, and when you are on track to meet your goals. Counting your blessings is also a traditional act we engage in this time of year. But more than an act, gratitude has proven benefits to our overall well-being. I recently learned that giving thanks allows us to feel better rested and have higher self-esteem. So, it turns out that intentional appreciation is more than minding our manners – it’s good for our mental health. So I’m also using this holiday season to renew my commitment to gratitude. And I am happy to start right now by sharing my appreciation for you, our Prime Group customers. I hope you are enjoying the holiday season and from all of us at the Prime Group family of companies, I wish you a happy and healthy New Year. They say what often drives someone to make a major move is the notion that the grass is greener on the other side. But sometimes, it doesn’t matter what the color of the grass is – or the flowers, for that matter! Such is the case leading up to the recent move of Prime Group’s international headquarters in Miami. It just had to be done. So last month, we pulled up stakes and moved to a new office-warehouse complex just a couple miles away in Doral, Fla., that offers a promising path for continued growth. Companies commonly cite multiple reasons for moving, but for us, the clear driver was the need to upgrade to a larger space that will facilitate that growth. Business is good, we are expanding services, boosting staff – and simply stated, we outgrew our previous outmoded, undersized facility. But this action was driven by more than just physical-space limitations. 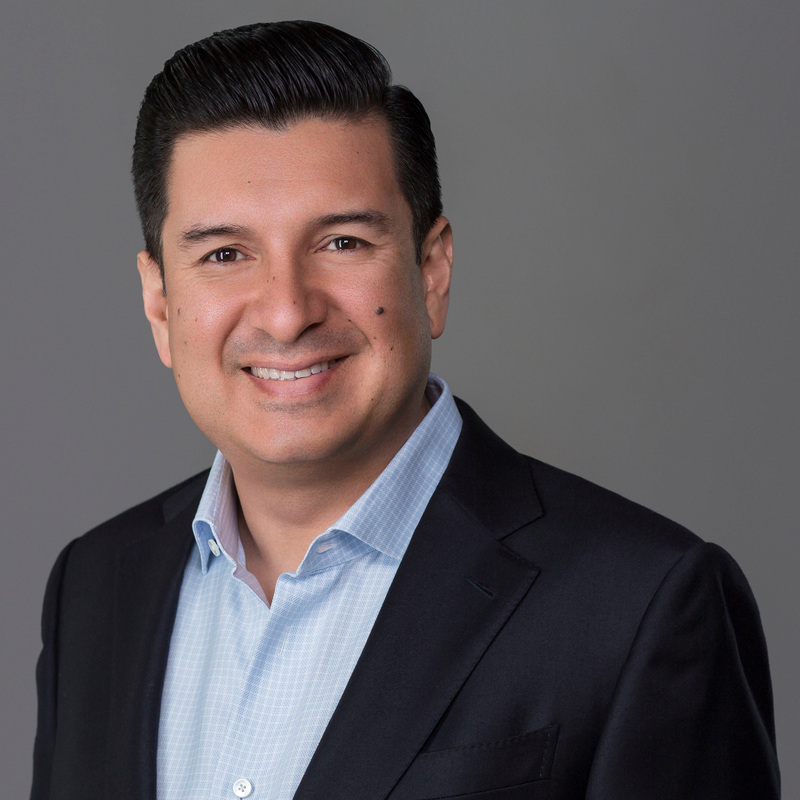 The Miami expansion is part and parcel of an overarching strategy to which company partner Omar Zambrano and I have committed over the past year – to restructure and streamline Prime Group in a way that will ensure its long-term success. The multiple companies under the Prime Group umbrella presently employ about 40 headquarters staff, assigned to the following functions: Administration, Finance, Operations, Sales, and Marketing. We now boast more than 4,000 square feet of office space in the new facility, compared with just 2,000 sqft in the previous facility. And the same stands true with our new adjoining warehouse, which is double the size of the former warehouse – now at 20,000 sqft. We may even find it easier to recruit workers because of the new, more modern and attractive location. Although deciding to move is tough, it’s nothing compared to actually making the move. Psychologists will agree that on a personal level, no move is easy. In fact it ranks as one of life’s toughest transitions whether it’s your home or business. I may actually have grown a few gray hairs in the process. And it’s not without short-term heartburn, as we had to figure in the cost of business interruption. But this move was expertly planned by our professional staff to be swift and well staged. As a result, we’ll see only a minor dip in business productivity over a period of just a few days. I am certain the investment is well worth it. In business, you have to look closely at the reasons for moving – which we did. You also have to make sure the chosen spot addresses your needs – which it does. These smart steps, coupled with a strong willingness and ability to shape our own future, guarantee that the grass truly will be greener at our new location and will prove to be one of the best moves in our company’s history. We look forward to serving you even better from our new facility and invite you to come by for a visit us at 1301 NW 84th Ave, Suite 127, Doral, Florida 33126. If there is just one thing I have learned over the years, it’s this simple fact: If you don’t adapt in business, you don’t succeed in business. Clearly, the age-old notion of “survival of the fittest” is alive and well in the world of international logistics. At Prime Group, we’re taking steps right now to ensure we’re able to adapt to rapid changes better than our competitors – not just by expanding our Miami headquarters facility, which I’ll talk about later, but by working with the internationally renowned London Consulting Group to enhance operational efficiencies. You could say we called them in to help us get our business in better shape – to get fit and stay fit. This is an investment that my Partner Omar Zambrano and I are very proud of – and something all our customers should be pleased with as well. Because it improves our corporate fitness, it empowers us to better serve our customers, today and well into the future. History’s leading “change authority” Charles Darwin said it best. Known for his contributions to genetics and evolution, he said something that truly illustrates what the real imperative is for a business today. “It is not the strongest species that survive, nor the most intelligent, but the ones most responsive to change.” If ever there was a quote worth framing, this is it! In the world of logistics, few would argue that we have to keep up with today’s spectacular pace of change – and we should all expect that it will accelerate from here. Darwin drove home that point, showing that those that are able to adapt best to their changing environment have the best chance of surviving. But like most things in business, rapid change is a double-edged sword – a threat but also an opportunity. By adapting to rapid change better than competitors, we can make great strides; ignoring rapidly changing circumstances, expect to go the way of the dinosaur. Adapting may be difficult, but it is certainly not impossible. The exciting steps we are taking today – expanding our base of operations and instituting new processes to make us more agile and efficient – will allow us to succeed in putting our customers first. That’s the prime objective – in fact, it’s been our goal every day since we started PrimeAir 17 years ago. Pride of product, attention to detail, hard work, flexibility, and honesty. It’s in our DNA.